When one thinks of l-o-n-g reads, War & Peace usually comes to mind. Well, now you can add our "Things to Do" to your list. Great family museums like Burpee Museum of Natural History and Discovery Center Museum. Or maybe a tour through Anderson Japanese Garden, one of the top Japanese gardens in North America. 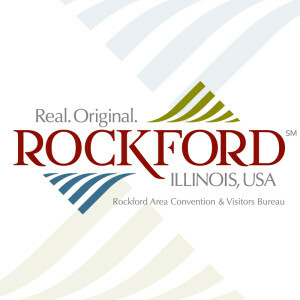 If you really want to know what&apos;s going on in the Rockford Region, then visit our Calendar of Events, too. That&apos;ll really keep you busy for a while. You see, chances are you&apos;ll run out of time during your visit long before you run out of things to do. In case you work up an appetite doing all this reading, don&apos;t forget to visit our dining page to plan a visit to one of our amazing restaurants! Of course, a trip to Rockford wouldn’t be complete if you didn’t check out one of the many places that our hometown band Cheap Trick has made famous locally. Whether it is getting a bite to eat at Stockholm Inn (don’t forget to strum the lucky Rick Nielsen guitar on the wall) or getting your picture taken for a social media post outside of the Rockford Armory (and, of course, #gorockford #gotrickford) you will have a great time living the Rock & Roll life in Rockford.